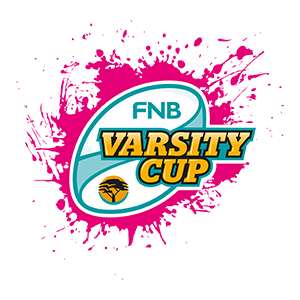 Cape Town - The University of Pretoria struck hard and fast and in doing so secured a 24-18 (half-time 15-3) victory against the NWU Pukke and booked themselves a place in the 2019 Varsity Cup final on Monday. It was the home side that made better use of their opportunities as they raced to a 12-0 lead within the first quarter of the first half which made it a pretty good time for UP-Tuks as wing Ciaran Dayaram finished off a well-rounded attacking movement to bash his way over for the match's opening try. The Stripe Generation who continued to attack hard and came close to scoring, were rewarded several moments later as a deft cross kick found itself in the arms of Dayaram who scored his second of the evening. Flyhalf Tinus de Beer landed a conversion and two penalties while his counterpart Schalk Hugo kicked a penalty goal, which meant that the first half ended 15-3 in favour of the hosts. The visitors must have had an earful at the half-time break because they came out firing in the opening minutes of the second half and they quickly found themselves five points up courtesy of wing Lungelo Gaso, who dived over from an impossible angle to score. Hugo added two penalties but it was de Beer's boot that ultimately swung the game as he nailed two penalty goals despite flank Wian Conradie dotting down for NWU. De Beer was named the Player that Rocks, and rightly so as he conducted his backline as only a maestro can and also became the all-time top pointer scorer of the Varsity Cup on an evening where Tuks walked away 24-18 winners and booked themselves a spot in the 2019 Varsity Cup final.